April 10, 2000 – ABC airs a segment on the Debra Duncan Show demonstrating the remarkable results of an experiment conducted at the Cottage School, in which Hellene Hiner conducted group piano lessons with every student, K-6th grade. Hiner plans to develop a computer software that is centered on her teaching methods, making music education accessible to every person that has a computer. August 2001 – Hellene Hiner begins work on the software project. Hiner allocates seed funding for the project. January 2002 – Full game specifications for PC are planned and designed. March 2002 – Provisional patent pending application is filed. October 11, 2002 – “Soft Way to Mozart” ® is featured on the WB39 news as an innovative breakthrough in music education software. October 2003 – Prototype for “Soft Way to Mozart” ® curriculum is assembled. 2004 – The State Board of Educator Certification (SBEC) approves “Soft Way to Mozart” ® as a provider of Continuing Professional Education (CPE) activities. 2004 – “Soft Way to Mozart” ® Studio is opened in San Diego, CA. August 2004 – Hutsell Elementary School in Katy, TX receives grants and implements “Soft Way to Mozart” ® curriculum as an after school program for under-privileged children. The Houston Chronicle praises the program’s success in an article printed on June 7, 2005. November 7, 2004 – KHAN-TV 36 airs footage in Austin, TX of three-year-old Gracie Ni playing Christmas songs with both hands, as well as seventeen-year-old Heily Frank playing an advanced waltz by Khachaturian to demonstrate the remarkable results of the program on students of all ages. 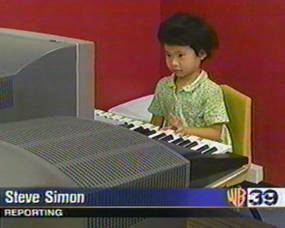 March 2, 2005 – CBS network airs footage nationally of three-year-old Gracie Ni playing Bach’s Minuet in D Minor after only ten months with the Soft Mozart piano learning software program. 2005 – “Soft Way to Mozart” ®is approved by The Ministry of Education (United Kingdom) as a software supplier for the state program Curriculum Online. 2005 – The first “Soft Way to Mozart” ® Studio is opened abroad (Madrid, Spain – now with 150 students). 2006 – “Soft Way to Mozart” ® is endorsed by top music performers and educators Yuri Rozum (Russia) and Victoria Lopez (Madrid). June 2006 – fFull game specifications are planned and designed for Apple. 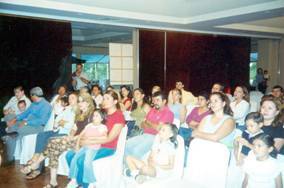 2006 – First educators receive training through the “Soft Way to Mozart” ® Certification Program to teach the “Soft Way to Mozart” ® curriculum in studios in Russia, Spain, Portugal, Israel, Costa Rica, and Canada. The studios subsequently receive media attention from local news stations and magazines. October 2007 – The article “Computer (Soft) Way To Mozart” is published in a book entitled How To Teach Music in 21st Century released by the Moscow Conservatory . 2008 – Additional “Soft Way to Mozart” ® studios are opened in Germany, Ukraine, and Norway. 2009 – More than 2,000 programs have been sold throughout the world through word-of mouth marketing alone. Product returns are less than 1%. April 2009 – Eight initial patent claims are allowed by an examiner of the United States Patent Office. May 2009 – A survey conducted by the company among experienced music educators from thirteen different countries yields extremely favorable results for “Soft Way to Mozart” ® when compared to traditional piano teaching / learning methods. 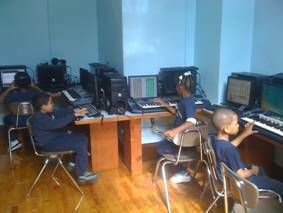 September 2009 – A catholic school in Harlem (NY) starts a pilot music program using the “Soft Way to Mozart” ® as the primary music curriculum. One music teacher is now teaching 30 students of all ages in one class at one time. Every student in the school (over 300) is successfully learning to play the piano and read music. December 8, 2009 – US Patent Office issue Patent No. 7,629,527. All the main claims that secure the invention are accepted with no limitation. April 22, 2010 – Catholic School in Harlem School elects to permanently run the program as a valuable part of school curriculum and recruiting efforts.